A River of Snowdrops? You Can Grow That! We noticed something about our new house this spring: no snowdrops! I set out last week to rectify that omission. My “river” of snowdrops at our old house was fifteen years in the making, but you can grow that! This river of snowdrops is about 50 feet long. All you need is a dirt-stabbing tool, a clump of snowdrops, and pig-headed determination. 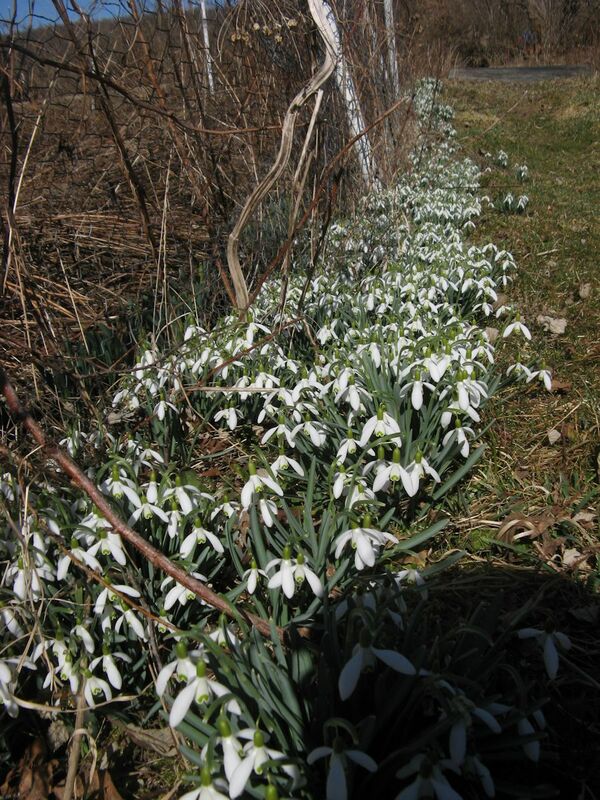 This is one garden forkful of snowdrops. You can see my dirt-stabbing tool on the left. Think I’m kidding? Above you see the clump of snowdrops I started with. I stuck my large garden fork straight down as far as it would go, pulled it back, and pried out this clump from the “river” at the old garden. This chunk from the original clump is about three inches in diameter. Here’s a small chunk from that clump, perhaps 1/10 of the whole. Guess how many? 30. Thirty from that one chunk. These snowdrops have been multiplying for fifteen years (maybe more). Can you see how the bulbs are so packed together that they grow on top of each other? They’ve been growing in unamended clay, seeding amongst themselves and multiplying by offsets as well. At first, it is difficult to separate the individual bulbs. I soak them in the tub-trug to help loosen them up. I sometimes slosh the clump up and down in the water, or swish it around. Sometimes I gently roll the clump between my hands. Eventually I see a little chunk at the edge that’s loosening up, and I tease it away from the mother clump. Then I separate that baby chunk into individual bulbs. You need to grab the bulb part, not the leaves. 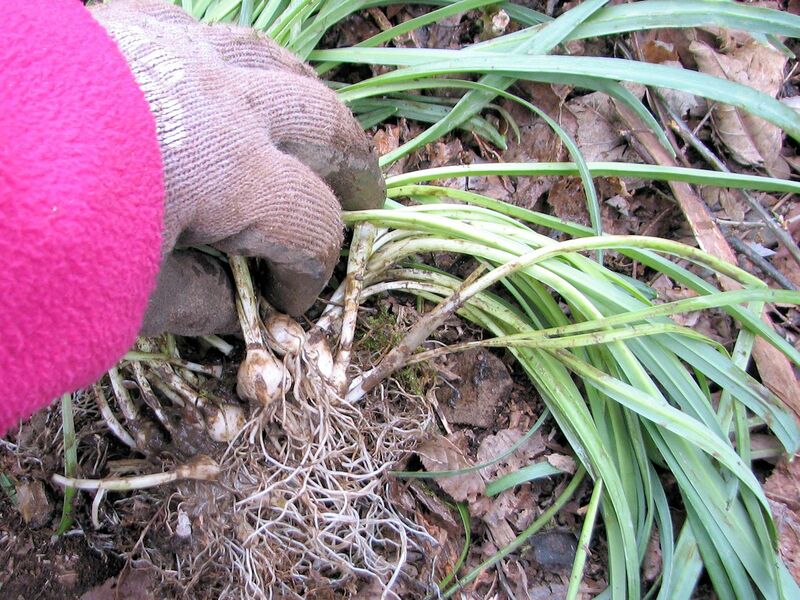 Thumb and forefinger grasp a single snowdrop bulb, ready to pull it out of the root mass. 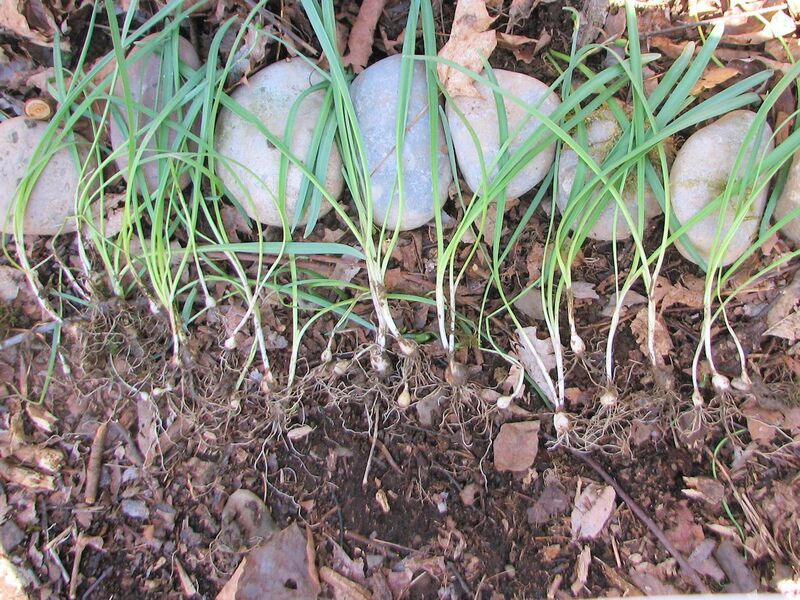 If you pull too hard on the leaves, they snap off, and the leaves need to photosynthesize food to bulk up the bulbs before they go dormant. You do need patience for this part, and if you’ve had experience getting snarls out of a young girl’s hair, so much the better. Out in the wild, or at least, away from the more domesticated garden, you can’t use the usual procedure for getting plants in the ground. You don’t dig a hole, no. You stab a slot into the earth, insert a snowdrop into the slot, and then push the slot closed. I used a Planter’s Buddy to stab with, but a digging knife (aka hori-hori ) works as well. Maybe better (lost mine). Here’s where the pig-headed determination comes in. You stab, insert, and close a mind-numbing amount of times. On your knees. With only the vision of beauty to sustain you. (Well, include your beverage of choice for sustenance.) And pausing only to tease another chunk of snowdrops from the mother clump. Wait, that’s not exactly true. If you’re like me, you spread the work over several days, because other things like cooking supper and paying bills have to be done. 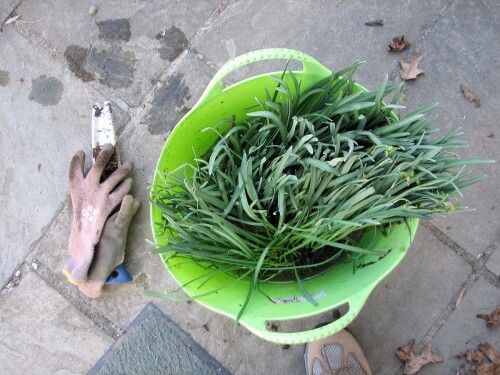 I left the unplanted snowdrops in the bucket with an inch or two of water in the garage when I had to quit for the day. They didn’t seem to mind. They were, after all, still ensconced in that unamended clay. I only separate bulbs as I’m ready to plant them for this reason. Can you see the newly planted snowdrops near the path edging? I planted somewhere between 200 and 225 snowdrops over four (non-consecutive) days. 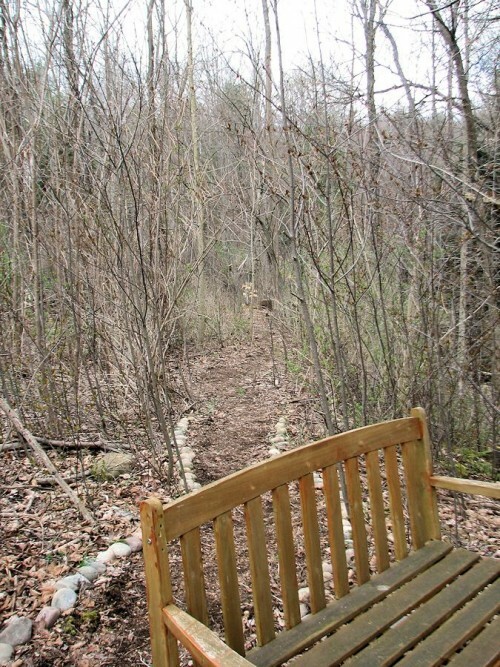 I planted them on both sides of a path I am developing in the woodsy area between the lawn and the brook. I managed to get about halfway down, about 73 feet or so, before I ran out of snowdrops. It doesn’t look like much now, but my original snowdrop path looked exactly the same when I first planted it. There are certain garden effects that will never achieve their full beauty right away, and this is one of them. Pig-headed determination and time are the key ingredients. By the way, it doesn’t have to be snowdrops. You can do the same thing with daffodils. 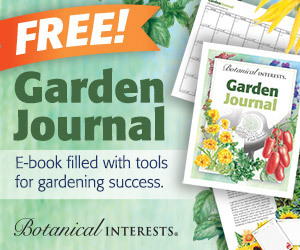 Garden Bloggers You Can Grow That! Day was started by C. L. Fornari of Whole Life Gardening because she believes “Gardening is one of the most life-affirming things we can do.…We need to thoroughly saturate people with the belief that plants and gardening are worth doing because of the benefits gained.” Garden bloggers who agree post about something worth growing on the fourth day of every month. Read this month’s You Can Grow That! posts. @Mr. McGregor’s Daughter wouldn’t we all! They look beautiful. I have a ‘river’ of bluebells ever year which are just to die for. They can be a bit unruly when it comes to keeping in line but they’re a complete joy overall. Kathy, this is a great post, in every way a model of what a gardening blog can do. The snowdrop river is beautiful and an idea that would work in many gardens, regardless of size or location. Your clear instructions are made even clearer with the excellent photos. And the text suits the subject very well. I wish all garden blogs were as helpful. 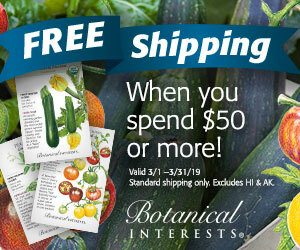 I live in the northern climate of Minnesota and am just starting a vegetable garden. Thank you for your good advice. I invite you to follow my blog, Gardening Upstream. Can you buy pig-headed determination at any garden supply store, or is it easier to order from Amazon? LOVE IT! I can’t wait to see from year to year how they grow and fill in. 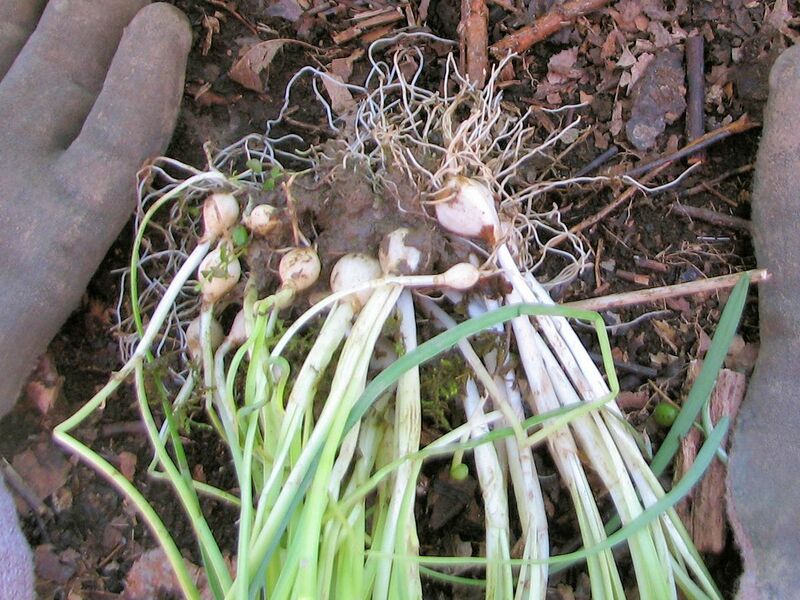 Amazing how many gardeners would classify themselves as having “pig-headed determination.” I just made a couple hundred holes filled with grape hyacinth bulbs to line a side of my barn, so I know your knees must have been lovin’ you! Oh how I wish I had a stash of snowdrops instead! How gorgeous. I’m jealous! Kathy, you are a rock star!!! I was lucky to move into an old (1880s) farmhouse, where on our south-facing hillside a gardener in the 70s planted two types of narcissus–one is the the small, very sweet-smelling kind, with small white petals and a very short green/orange perianth, poeticus? And another small kind that is cream-colored and double, with a heavenly scent, that I have not seen for sale anywhere. Anyway, by the time I moved there in 2001 the hillside had about 15 big patches (at least a foot wide) of extremely tight-packed bulbs. Not many flowers. When I dig up a clump there are some bulbs as small as peas, and others full size. Hundreds and hundreds in each clump. I have only dug up a third of the clumps so far because even planting them all over my one-acre flower garden there are too many bulbs! I give them away, too. I often feel a kind of kinship with that gardener — all I know is her name, Cecil White, and that she lived there in the 70s. But I am happy to be inheriting and building on what she planted. Hi, Anne, thanks for taking time to comment. At the house we moved from last fall, there were daffodils like that, too, when we first moved in, and I did the same thing, and felt the same way towards the previous owner. Have you ever looked at the Old House Gardens website? They sell heirloom bulbs and you might find your unidentified beauty there. Also there is a book, Restoring American Gardens that may help you identify your narcissus. But the other one does sound like poeticus. 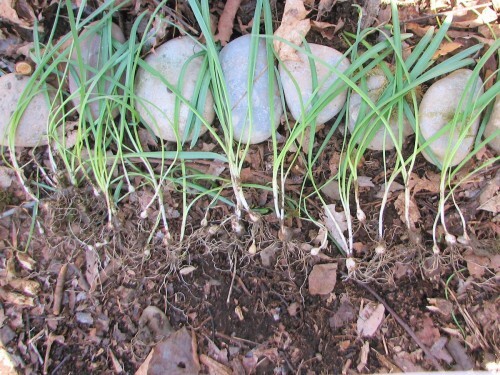 Did you see my post on Heirloom Narcissus? I’m wondering if your double cream is the double poeticus. Does the double one bloom even later that the poeticus? If so, then I think that’s what it is: double form of the poeticus. I’ve been told it occurs naturally amongst the single poeticus. Some years the buds blast (never open). Anne, Cecil is a man’s name…i think your predecessor was a he! It could also be a woman’s name. I have seen it spelled Cecile for a woman. Dividing and replanting my snowdrops is definitely on my to-do list, so thanks for the tips on how to go about it. Mine will just be dotted around the miniature woodland area where it already grows, rather than.form a sweeping river, but any way you plant snowdrops they’re going to look lovely, I think. Perhaps I will move some around tomorrow. They are just past bloom. I have transplanted them in the past and they do move well. I love rivers of bulbs. Thanks for the useful info! I’m going to try planting snowdrops this year. Hope your new “river” soon flows strong. 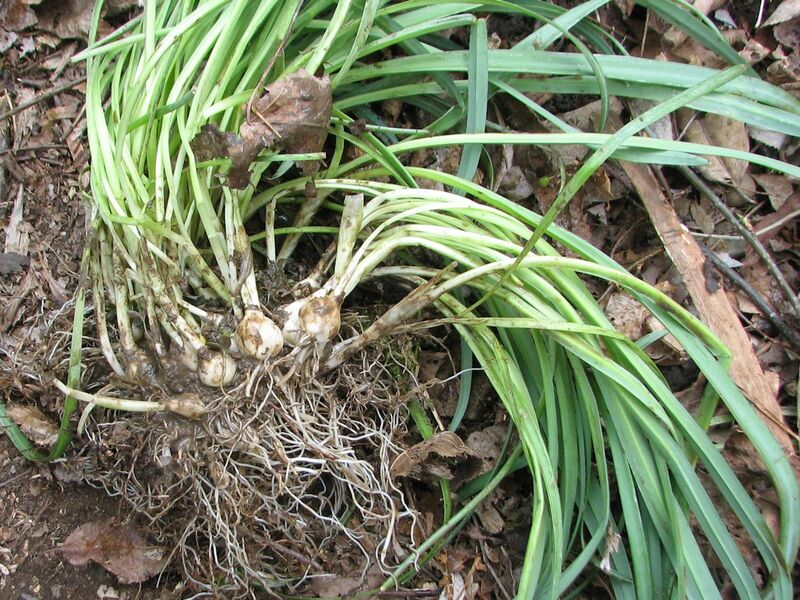 I’d much rather divide snowdrops that untangle snarls. The new garden is going to fabulous in a couple years when those snowdrops start to fill in. Good for you Kathy. I too have brought snowdrops into my new garden every time I have moved. I hope the new owners appreciate them when they flower in the spring, and I would like to think I am like a Johnny Appleseed, only with Galanthus. I shall be digging and dividing when I am finally back in Canada, I want mine to be EVERYWHERE! lol! Pig headed determination, we can grow that! This is great! Now I need to make friend with someone who can give me a shovelfull of snowdrop bulbs! I admire your vision and care for your beloved snowdrops. That’s one of the joys of gardening, isn’t it, the pleasure of having something to look forward to. 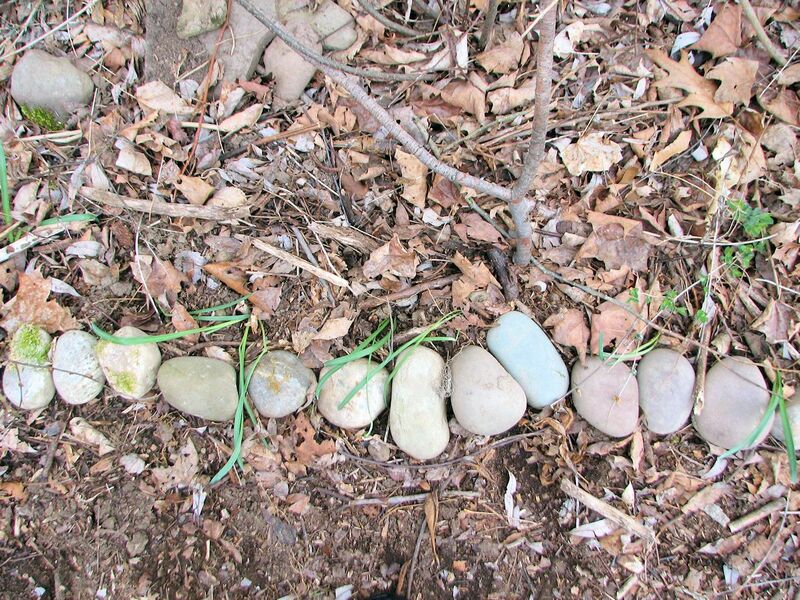 I recently went through the same process with my 30 year old grape muscari, digging, separating and moving them to a better spot outside my dining room window. Your snowdrop river was so lovely! I totally get you taking it with you and replanting it! When my husband and I moved from NJ to Maine I potted up a favorite shrub rose and 6 peonies … took them with us and they have finally acclimated to their new home! It took me a while to find those varieties and I had grown quite attached (maybe unhealthily so) to those plants. I look forward to seeing your snowdrops develop into a new river over the next few years! It’s wonderful, Kathy, I can *see* it already, that flowing, flowering white river. Thanks for the linkage, my friend. I think we both know all about pig-headed determination! Love the idea of making a river out of small bulbs! Your “river” was gorgeous…must have hurt to leave it. But, as you know, us pig-headed gardeners usually have patience, too. So, in a year or two your new path will be the star attraction. You go, girl!